Breezway began manufacturing louvre windows (i.e. old style metal jalousie louvres) around 1935 in Australia and by the mid-1960’s our louvres were being exported to over 65 countries. 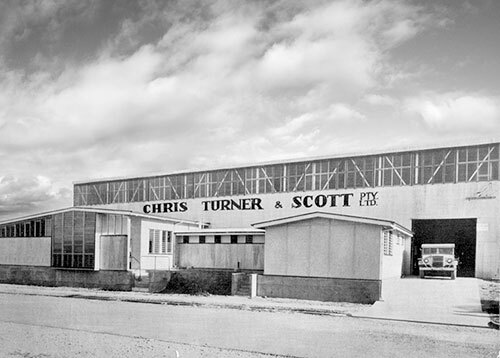 Over the years the company has manufactured a number of other products including munitions (during the Second World War) and fluorescent lights, but aluminium louvre windows have always been a key part of the business. Breezway Malaysia was established in 2003. Machinery and technology on louvre manufacturing were transferred from its corporate headquarters in Brisbane, Australia to the factory in Klang. Within a year, Breezway Malaysia was starting to produce and sell assembled Altair Louvre Galleries for the Malaysian market. Over the years, the Breezway Malaysia business has progressed beyond just manufacturing components and parts to the production and sales of more products such as the Easyscreen and Slimline Window Systems. 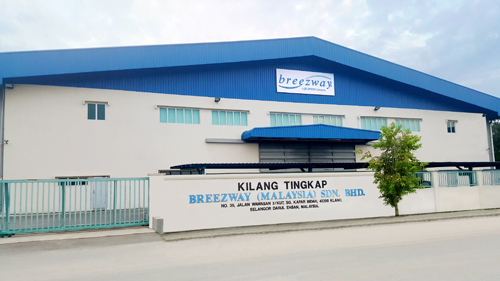 With the rapid expansion of sales around the region and the introduction of new products, Breezway Malaysia moved to a larger manufacturing facility in August 2010. The new factory boasts additional press machines and plastic injection machines. At the same time, its business has expanded from Malaysia to other South East Asia countries such as Singapore, Thailand, Indonesia and the Philippines. Breezway Malaysia also started exporting to other countries in the Pacific Ocean, Indian Ocean, Vietnam, Taiwan, Hong Kong, India, Sri Lanka and even Turkey. Besides Australian, New Zealand standards, Breezway Malaysia products are also certified under the Malaysia SIRIM certification. Today, Breezway is owned by JELD-WEN Australia Pty Limited. The Window Association of New Zealand. The American Architectural Manufacturer’s Association. The Window Energy Rating Scheme. The Window And Door Industry Council. The National Association of Testing Authorities. The American Institute of Architects – Honolulu and Maui branches. The Building Designers Association of Australia. The Australian Institute of Architects. Today, Breezway is at the forefront of louvre window technology and design with a constant stream of product improvements flowing from our headquarters in Brisbane, Australia. New products are constantly tested and refined before being launched around the world. As a result, the team has developed many louvre window innovations which now hold international patents, including the award-winning PowerlouvreTM Window. Breezway ASIA has made an impact in the ASIA building landscape. You will find Breezway louvres often used in Green homes and green energy projects and have helped developers win green ratings, such as the Ken Rimba project in Malaysia. Major developers such as SIME DARBY in Malaysia, Land & House in Thailand, Ayala in Philippines have all used Breezway louvres in their development projects. Our Altair Louvre Window is available from leading window and door resellers across Asia. The Altair Louvre has been designed to be compatible with most timber and aluminium windows so it will match neatly with other windows and doors in your building. We’re always on the lookout for talented people to join our team and new positions become available fairly regularly, so please email a cover letter and resume to kelvin.ling@breezway.com for us to hold on file. We’ll contact you should a suitable position open up.